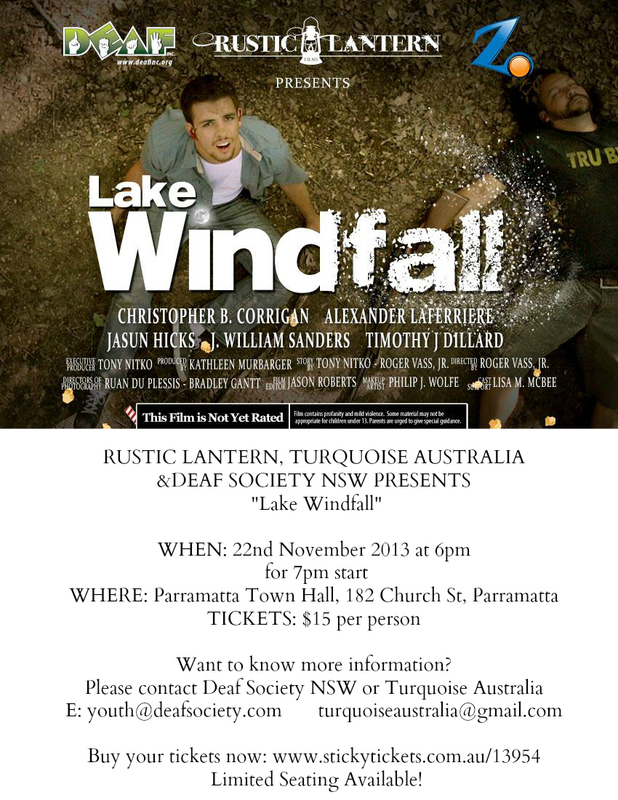 Turquoise Australia & Deaf NSW Society are pleased to announce that they will be co-hosting to show Lake Windfall in NSW after a successful night in Melbourne. This entry was posted in Lake Windfall, Turquoise Australia. Bookmark the permalink.